I've been super-duper busy during the holidays and after New Year's eve, I feel so lazy and just want to lie down in bed while watching TV. I’m drained and out of urge to get out of the holiday vibe. Don't you feel the same way? Unfortunately, we have no choice but to move forward. We need to get back to working hard to make our dreams come true because success doesn't simply land in the palm of our hands. It requires serious determination and undying commitment to get to the top. We have to go out there and show the world who the real boss is. 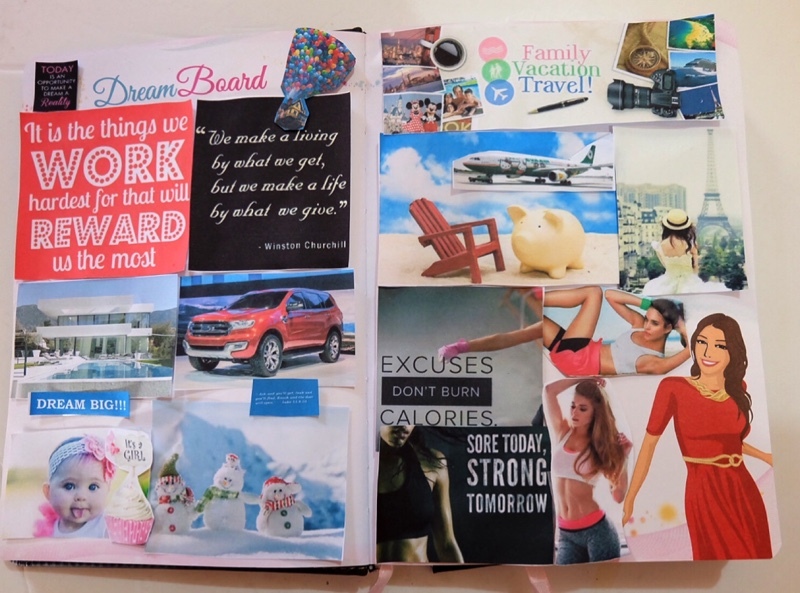 To open the year and make it different, instead of having a new year’s resolution, I made a dream board. It is a board full of dreams that I want to accomplish and fulfill this year. Let me give you a glimpse of the dreams I would be working on for the 366 days that makes up 2016. 1. House – For the longest time, I’ve been wanting to have our own house. It doesn’t need to be too fancy. I just want it to be a place where my family can gladly call home. Although, we are happy living with my mother-in-law, I believe that having our own house is an obligation we need to comply for our kids. Furthermore, it would develop our independence as a family. 2. My Own Car- I want to have my own car for the sole purpose of avoiding inconvenience because I drive around a lot and so does my husband. There are times when we both have to go somewhere and carpooling is not a possible option due to having different destination. 3. Baby Girl – Y’all probably know that I’m the girly-girl type of woman and I would absolutely love it if the God above would bless me with a baby girl whom I can share my passion with. 4. Family Time - I consider this as the most precious moments in my life. There is no better way to spend my time here on earth than being with my family. 5. Travel more – I love travelling and I would never run out of destinations. This world is intensely beautiful and I want to see everything it has to offer. 6. Get Fit – Health is wealth. So don’t take your food and your health for granted because you cannot enjoy life even when you have it all if you are weak and ill. Everything would mean nothing where you’re already 6 feet below ground. 7. Make a Snowman with the kids – Yes, I am on my thirties and I wanna freaking build a snowman. I can almost imagine the tons of fun we’d be having when we build our own version of Olaf. P.S. I also like warm hugs. I pray and hope that by the end of this year when I look back at this board posted on my BDJ planner, that it wouldn’t be a dream board anymore but a reality board. Behind these dreams requires a persistent and hard working woman that I know I can be. “Aim for the moon because even if you miss, you’ll land among the stars.”. Believing in yourself is the first step in achieving your dreams. Have the confidence to set your goals for this year. I want to see you guys post your dream board and you might even win a BDJ planner, an amazing must-have to keep your plans and dreams intact. My dreams for this year,is to lose some weight so that I will be more fit and healthy.Second dream is to go to boracay this summer,and lastly I want to buy an iPhone6. hahaha hoping this will happen. 1.Our Own Home-We lived in an apartment,I dream to have our own home simple house that we can say Ours. 2.Graduate-Haven't finish my studies i think it's not too late right?I can back to school and be student again even if i'm already a mom. When I was a kid, I used to cut out pictures from different magazines of thing I want, what to have, and what to become. 1. Owning a house with big backyard, swimming pool and garden. 2. Owning a car for myself. It's better to suffer in the middle of traffic than soaking yourself to air pollution. 3. Owning a restaurant beside the beach. 4. To become a successful entrepreneur. 5. And last but not the least, to travel around the world with my whole family. Thank you for this giveaway, Miss Rochelle! Wow! Hoping to win this BDJ 2016 planner from you Ms.Rochelle.I want to set my goals and keep my plans on this dream board. My Dreams... 1st.. I want to spend vacation with my family in Ilocos, Baler and Baguio.. I wish I will have time and budget to do this. 2nd.. I want to have a house of my own for family and lastly.. I want to loose weight. my dreams is not only for me but also for my family especially to my son. 1. Get fit, ditch my vices and focus on my health stat. 3. More travel getaways with my family. 1. Because I am a single mother, I wanna work harder so I can save money to put up even a small business for my son's future. 2. I wanna have an extra income so I can save money for my son's education. I still have time he is just 2 years old now :) . 4. I wanna bring my son and mother to a place where they can enjoy and relax ( a vacation ) my mother is old already I really want to treat her well and I want her to experience the adventure and happiness that she never felt before. 2. To have our own house. 3. To travel with my family. Thank you ms. Rochelle! More power! 1. To be employed full/part time. 2. To achieve the normal weight for me. 3. To be able to provide for my kids' needs and wants. 1. Diploma. I'm in my last semester and in my course, this is the most crucial one. Thesis works, projects, tours, seminars and all. But yes! I am clearly near. I may be delayed by a year because of back subjects (HAHA) but geesh! I will never give up to be an Electronics Engineer. 5. Ilocos! (Sand Dunes). OMGGGGG. After I have really done my 1 and 2 on the list and priority my family first, I will go here! Especially in Vigan. I will stay there probably for a week. Wow! Sobrang nakakainspire ng dreamboard mo Ms. Rochelle. Ako, dream ko na makapag travel din kami ng buong family ko, sana maparenovate din namin this year tong house namin, sana rin maging successful yung home business para maging stable na rin yung income. 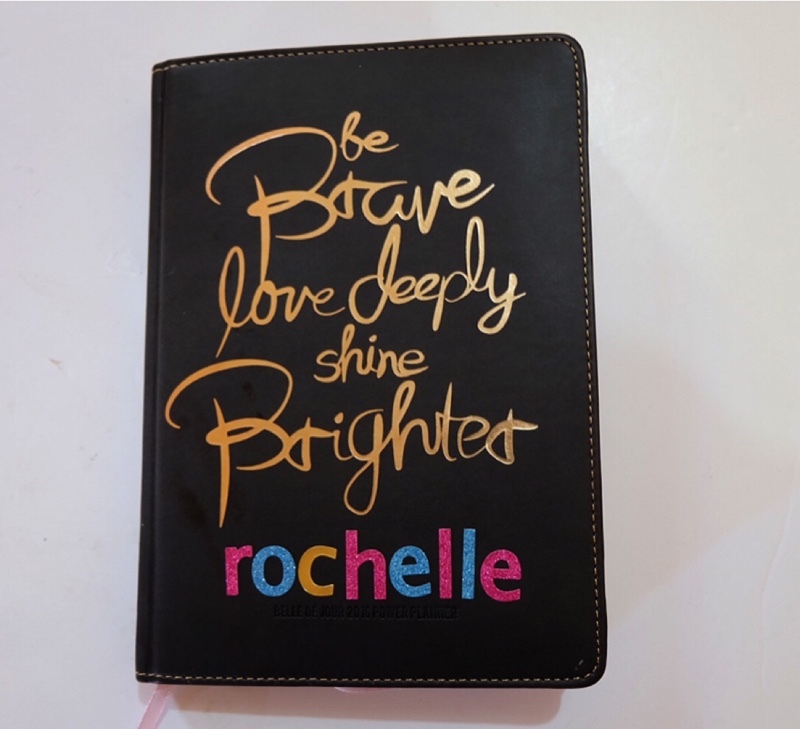 Hoping to win this BDJ 2016 planner from you Ms.Rochelle.I want to set my goals and keep my plans on this dream board. 3.Vacation with my Family- Kahit po saan basta sama-sama kami ng pamilya ko.Never pa po kasi nangyare yong ganon. Pasko at New year lang madalas. 1. To be able to practice ny professional as registered Nurse so i can help with the health care system in our country and be able to help family in terms of taking care of them whenever they are sick esp. my parents and children. 2. To have my our own house and lot so my children will have a safe place they can call their home. 1. To have our own house so my children can have a safe place they can call their home. 1.first, is not a thing what i dreaming of.. i dream that my family will love each other and understand each other.. happiness for my family. 2. My dream house, not too big but simple with a happy complete family. 1.I dream of being physically active. I admit of living a sedentary lifestyle before, then I injured my back. Now I'm on the road to fully recovery, I want to be active to stretch and strength my muscles and this will prevent further injuries if we have strong muscles. And of course not to mention the many benefits of being fit. 3. I dream of finally be able to find a place we can call home. I know we will not be able to move in that fast because of the paperworks and requirements needed but I should be able to do at least a few steps towards it. 1. To work abroad - I already got my papers red ribbon-ed so I'm hoping and praying that this 2016 I will be able to find a job abroad. 2. To have our own house - We are living right now in the house of my grandfather.I want to have a simple house for my family. 3. To be healthy- Of course,health is wealth. So I need to be healthy and sick-free.I will exercise at least twice a week.Eat more vegetables and less eating in fastfoods. 4. To find my partner - Sana mameet ko na yung taong makakasama ko for the rest of my life. 5. To be able to financially support my younger brother's studies. 1. Getting my own place fully paid off. 2. a good job with plenty of free time where i feel like i'm contributing something to society. 3. A healthy and strong baby + normal and safe delivery. 4. And for everyone to be healthy. 1. Travel abroad and work abroad. 2. Own a house and car. 3) To grow in my chosen career. 1.) Is to travel to Venice and ride the gondola as this is my favorite place to go. 2.) To study my masters abroad and explore more about the world. 3.) To own a house where I could let my parents stay since we are still renting a house now. - To spend this Christmas (2016) with my whole family. My dream is to have my very own BDJ Planner before, but since I already purchase it and already accomplished, I wanted to share my dream to my Sister. She want to have it too. Thank you Miss Rochelle! 2. To become an Emirates Cabin Crew & Travel the world. 3. To be fit and achieve my body goals. 1. To have our own bundle of joy either a boy or a girl it doesn't matter as long as the baby is healthy. 2. To have a job and save money for our future mini me. 3. To get fit so that I can look fab. 1. Maintain good health and happiness for me and my family. 2. Start and run my own business. My Dream for this year is to 1. learn to be bake. 2. Travel to different places and try the food. 3. To learn to cook and eat healthy. 3. To give what my kids wants. 1. Open my third investment i.e. opening a mutual fund. 2. Pass the CCNA Exam this year. 1. To own a house and lot. 3. To have a successful business and investments. My dreams is to have our own house and lot, I have a detailed house and lot on my planner and hoping it will become reality soon. Second, to have a brand new SUV, I want my family to be convenient when we travel especially long drive to our province. And, of course secure my daughter's future by getting an educational plan. My dreams is to have our own house and lot. My daughter is turning three and I really wanted to build a home for her. Second, I want to have a brand new car since our car is always in an auto shop for repair. Third, I want to go to Hong Kong Disneyland or to go on a cruise with my family. I am dreaming big and hope all of these will be granted soon. My Top 3 Dreams are (1) To be fit and healthy. I am currently doing workouts and attending gym classes for me to get fit. Not just I want to be back in shape but most importantly is to be stronger and healthy. (2) Travel. I want to travel with my son and husband. Discovering the beauty of nature with them will be the best time for us. (3) Own a house. Everyone would love to have their own house and comfortable place to live. I will feel fulfilled if we are able to have it. 1. Find a new Job. I don’t care about the salary as long as that work makes me happy and the passion will always be there. 2. Family time too. Spend more time with them. Bond a lot. Help them in the best way I could. They are my treasures. 3. Travel and de-stress once a month. I love travelling as much as I love eating. So, if my budget doesn’t permit me to travel to my dream places, then a good food would be just as awesome. 4. BDJ planner. Hahaha.- It’s my dream planner. I love my DIY planner (I turned my 2015 desktop calendar to a planner) but a legit planner would be cool. Have an awesome 2016 ahead, Miss Rochelle!!! Hi Ms. Rochelle! Im turning 20 this 26th of January. And I want to make a different. Instead of celebrating my birthday eating somewhere extravagant or going somewhere i have never travelled I would like to celebrate it by giving. Giving to others,sprinkling random kindness to others like posting a penny in a vendo machine, donating clothes to orphanage, be a volunteer, treating the next car in the drivethru,eat with streetchildrens,putting sticky note on the mirrors in restroom,leaving notes in someone's car ,giving inspiring quotes to random people and on top of that i want you to be part of my dream. I would like to give out the bdjcoupons together with my notes or just simply leaving it in fast food table, putting it randomly in supermarket or posting it in out bullettin board and documenting them on my bdj planner.Everything I said is not a gimmick or what, just to have the planner. I wont keep any coupons even one, kill me if I do.Ill be posting the memories and tag you and bdj on 26th of january as a piece of gratitude. This is a dream for me. Please help me make it happen.Thankyouuu. God bless us!!! WATSONS SWITCH and SAVE: WIN SWITCHER SURPRISE! Globe welcomes arrival of Netflix in Philippines!